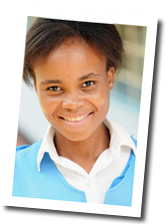 We are a non-profit, non-governmental organization designed to help improve educational standards and infrastructure in the southern African state of Zambia. As an organization, we put the emphasis on education because it is empowering, it gives people the knowledge, skill and attitude to become active and productive members of their communities. Education is thus an indispensable component to development. Our educational partners are drawn from the non-profit and for profit, governmental and non-governmental agencies. They provide direct educational support, whether it be training, educational supplies or funding. Educational partners also help in the design and implementation of programs. "What type of organization is ProjectEDUCATE?" "Why does ProjectEDUCATE focus on education?" We have the answers to these questions and more.